Began career at legendary studio, Origin Systems. Director of Ultima Online, the longest running MMO in history. UO is often credited with creating the Massively Online Game industry. In 2010, UO was inducted into the Online Game Developers Conference Hall of Fame, the first MMO to be so honored. In 2000 co-founded Destination Games and later that year it was acquired by NCsoft. In 2008 named one of the Top 20 Most Influential People in the Massively Multiplayer Online Industry by Beckett Massive Online Gamer Magazine. 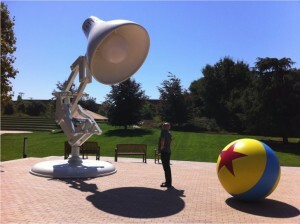 In 2009 joined The Walt Disney Company as an Executive Producer, expanding experience to Disney Parent App on Facebook, mini-games in Club Penguin, Club Penguin mobile, iOS apps (ranked in Top 5 Educational Games), and the Disney Connected Learning Platform. In 2013 joined Portalarium and led Shroud of the Avatar to be second highest crowdfunded videogame ever. Ongoing contributor to and reviewer of the book series about game design, audio, localization, and project management. Game Developers Conference: Given presentations on project management at 5 conferences.